When it comes to quality we won't compromise for anything less than perfect. We are totally committed to the highest produce quality according to the strictest European standards as requested by our clients, so they can be certain they are getting the best Quality each time they are working with us. In order to provide the best quality all of our suppliers , growers and packing houses are qualified, certified and checked regularly in order to ensure their total compliance with the latest European standards and regulations and In addition to the mandatory examination requested by the "Plant Protection and Inspection Services" ( PPIS). More than that, we commence random checkups all through the picking season in order to ensure its quality on a regular basis and the supply of pesticides-free products. 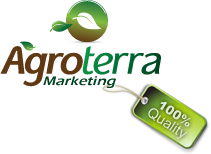 As part of its total-care service for its products, Agroterra takes care of the post-harvest caring and handling, from picking till the products reach its final destination we keep the cooling chain functional professionally as required. We know that a vital and crucial factor in your success is long-shelf-life of the fruits and vegetables so in order To maintain and obtain it, each product species are sorted and classified, wrapped and packaged in accordance with its specific needs- so you can maximize its benefits and quality. We know that information is vital for tracking and monitoring quality so all produce are marked with tracking codes with all the relevant information you need about it - so you can be rest assured you are getting the best there is.